The Skate Now lesson structure varies depending on a student’s competency or ability level. Our skateboarding lessons are flexible and tailored to each skaters requirements by our professional skateboarding instructors. 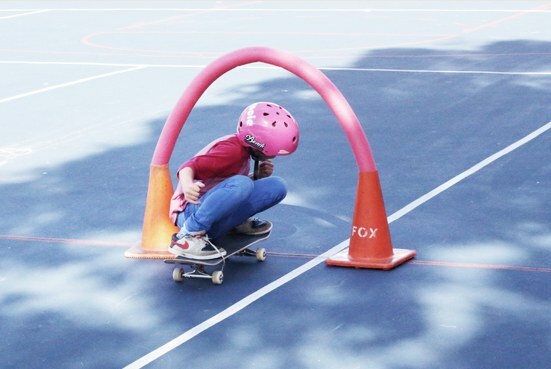 As a guide, we start our skateboarding lessons off by getting everyone padded up and helmeted to ensure all skaters are well protected. Next, we check-in with each student and/or parents to get a bit of an idea about where they’re at and what direction they’d like to take their skating i.e. street tricks, ramps or longboard etc. This information can help us a lot in terms of how we can best assist a student. At this stage, parents are welcome to stay around to watch or even join in the lesson. Students will then be guided step-by-step through our program, which tends to be fairly standardised for complete beginners while our intermediate lessons are a bit more customised. Students are encouraged to take a drink or quick rest breaks when required.